Volunteer Elaine Unthank has a heart of gold after spending most of last year organising collections for East Cheshire Hospice. She took up the challenge in memory of her brother Darren Harper (49) who died of sarcoma cancer in the Hospice in November 2016. Darren worked at Spectus Windows in Macclesfield for more than 25 years. Elaine, who helps at the charity’s shop on Chestergate, raised £4,191.79p from the collections which involved distributing cardboard boxes to countless businesses and households. 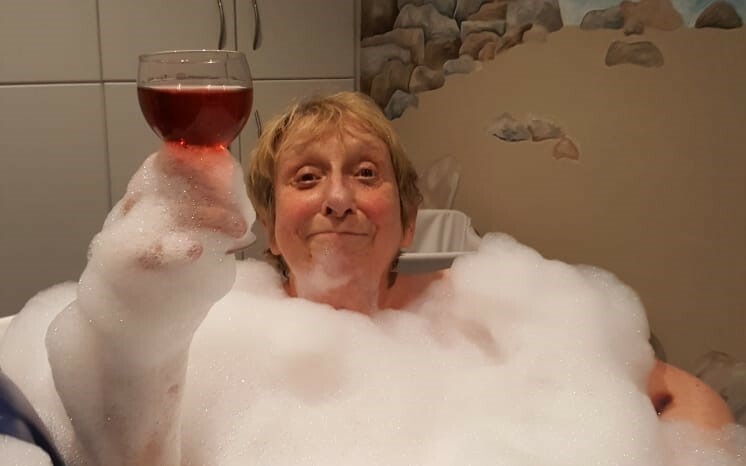 A further £559 was raised from a raffle as Elaine kept a promise to her brother that she would support the Hospice during its 30th anniversary celebrations as a thank you for helping him. Elaine, from Macclesfield, said: “I was very close to my brother. He was a true gentleman and during his time as a Hospice inpatient, told me he wished he could have done something for them. “I told him not to worry and promised to help the charity for their fantastic care. The nurses there loved him. “The Hospice wouldn’t be here without such donations. It helps patients cope with their pain and supports the families. “I also want to say a massive thank you to everyone who donated through the raffle and collections. It wasn’t easy and a lot of hard work but well worth it. Car dealers Sidney Jackson & Son Ltd are hoping to drive a popular memory walk to even greater success next month. 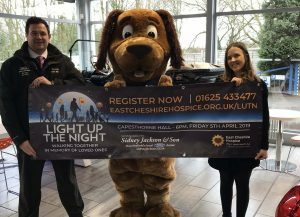 The long-established family-run Ford retailer is sponsoring Light Up The Night, organised by East Cheshire Hospice, for the third year in a row. The event takes place in the beautiful grounds of Capesthorne Hall on Friday, April 5, with the walk starting at 7.30 pm. Gates open at 6 pm. Organisers are hoping to attract another bumper turnout after last year’s walk drew a record 770 walkers. The route is over a loop of 2.5 kilometres through a forest and entrants can choose to complete the circuit once, twice (5k) or four times (10k). The Hall, which is illuminated for the occasion, provides a stunning backdrop. The evening will come to a spectacular end with a firework display. Walkers will carry a paper lantern to light the way along the route as the sun sets. Walkers will also be able to float a lantern on the lake to remember someone special. 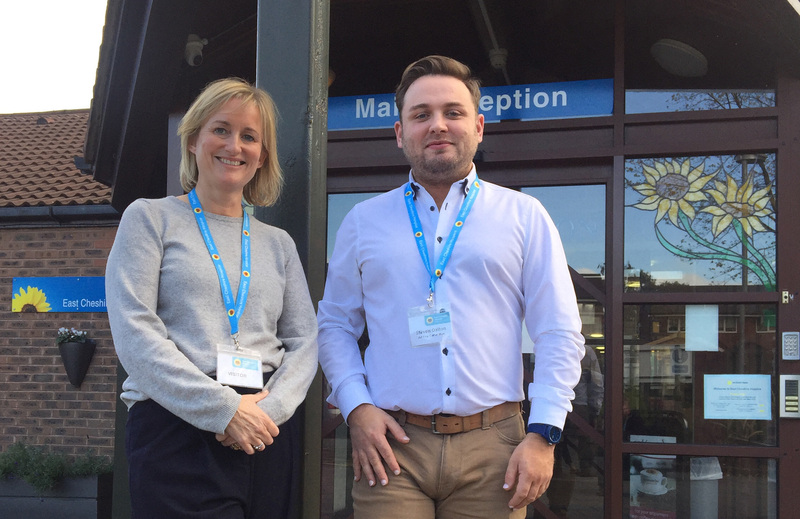 Liam Riley, General Manager at Sidney Jackson, said: “We’re delighted to be involved once again with East Cheshire Hospice which does such wonderful work in the community. Sidney Jackson, based on Wilmslow Road, Macclesfield, was established in Butley in 1920 and became a Ford retail dealership in 1955. Kate Bowmar, Corporate Fundraiser at the Hospice, said: “This generous sponsorship will help cover a proportion of our costs for the event which means the sponsorship raised by walkers can go directly towards supporting patient care. The Events Village opens at 6 pm with stalls, refreshments, face-painting and a DJ. Registration is £20 for over 16s and £15 for 5-15. This includes entry, a unique Light Up The Night T-shirt and a hand-held paper lantern to take home as a keepsake. Walkers are asked to try to raise a minimum of £50 in sponsorship. To register visit eastcheshirehospice.co.uk/lutn. Art Fair Cheshire is on the lookout for volunteers to help at two special events to mark its 20th anniversary. An exhibition at Macclesfield Town Hall (Thurs, Sept 26 to Thurs, Oct 3) will celebrate two decades of exhibiting and selling art for East Cheshire Hospice. Highlights include artist-led tours, evening gallery events, plus guest speakers and workshops. Volunteers have already come forward but more are needed to help as stewards, on reception and assist catering. Stewards are also required for a major new artwork entitled Gathering which goes on display at the Mansion in Tatton Park from June 28 to Sept 29. This spectacular installation will see red velvet and barbed wire suspended in the Mansion’s grand rotunda. Artist Susie MacMurray has been collaborating with Hospice volunteers to create the thousands of individual elements, a project inspired partly by memories, mortality and loss. Camilla Crockett, the Hospice’s Corporate and Community Relationships Manager, said: “Art Fair Cheshire is recognised as one of the region’s leading art events and has contributed more than £200,000 to the Hospice. Art Fair Cheshire, co-chaired by Steven Dalton and Georgie Johnson, has a new website theartfair.org.uk. * Interested volunteers/sponsors can visit contact@theartfair.org.uk. It is a good job Heather Broadbent likes meeting new friends. She will soon be introduced to a group of strangers with whom she will spend almost a year sailing around the world. For the moment the identity of her fellow crew members in the Clipper 2019-20 Round the World Yacht Race remains a closely-guarded secret. 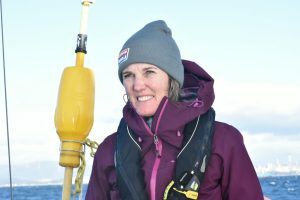 Heather, a landscape gardener from Disley, is raring to go on her daring adventure aboard a 70-foot ocean racing yacht. Incredibly, she has already raised £10,000 for East Cheshire Hospice which cared for her late husband Adam (45) who died of cancer in 2013. It is a quarter of the way towards her fundraising target, aiming to raise one pound for each of the 40,000 nautical miles travelled on her epic voyage, starting in August. Mum-of-two Heather said: “I can’t wait to get going and am excited about going to sea, especially after undergoing a lot of training. “A major challenge will be spending 11 months in the same confined area with complete strangers. The UK departure port has also be to announced, along with several stops on a route via South America, South Africa, Australia, China and the USA. Heather is sure life on the ocean wave will have more far more ups than downs. The 11-strong fleet each has a professional skipper and mate supervising amateur crews of up to 20 per boat. Heather is one of several sailors tackling all eight legs. Proceeds will go to the charity’s Hospice @ Home service. Supporters are invited to a preview of Heather’s trip at Pinches Medical Centre in Macclesfield on May 16. * To support Heather and read her blogs go to eastcheshirehospice.org/heather. A group of family and friends will be walking to light up the night in honour of a “phenomenal” individual. The 13-strong group will be taking part in East Cheshire Hospice Light Up the Night Walk, formerly known as the Starlight Walk, in memory of Lucy Nicholls who spent her final days at the Hospice in February 2018. Lucy, from Macclesfield, was a Coaching Development Officer for England Netball and was diagnosed with non-Hodgkin lymphoma in the Autumn of 2016. Her friend, Esme Pogue, says the walk is a special event on a range of levels. “There’s a great sense of community which comes from everyone taking part whether they’ve lost someone or not,” says Esme. “The walk generates our own thoughts and memories of our loved ones and we are able to do something together to support each other. “It’s also just a beautiful walk – very lovely and peaceful,” she adds. The walk through the grounds of Capesthone Hall takes place at dusk on the evening of Friday April 5 and alongside the walk, there will be music, entertainment, food and drink and the evening will come to a spectacular end with a firework display to Light Up The Night. The group will include members of Lucy’s family including father Geoff and step-mum Carolyn along with her brother Benjamin and sister Emily, as well as some former school friends from Fallibroome Academy in Macclesfield. “We all did the walk last year which was only a couple of months after Lucy passed away. Although it was emotionally challenging, it was really important to have that special time together to remember her,” says Esme. “We raised almost £2500 on that walk so we had no hesitation in signing up to help raise some funds again for such a good cause. The staff at the Hospice were incredible and brought a lot of comfort to her family at such a difficult time,” says Esme who has set up an online fundraising page at justgiving.com/fundraising/lightupthenight2019 or people can also donate via text: text ELCN72 with the amount i.e. £5 to 70070. 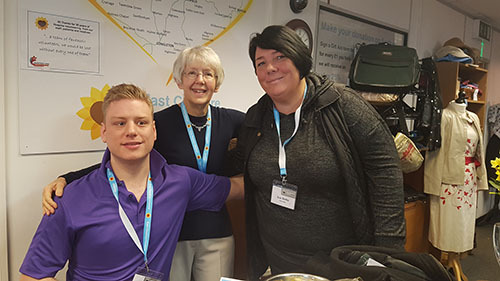 An East Cheshire Hospice charity shop volunteer, who “lights up the room with his personality” has been given a special award. Guy Rigby, who has cerebral palsy, has been presented by the Macclesfield-based charity with a Customer Champion Certificate to mark his great commitment and enthusiasm. His working journey began 18 months ago when Guy, who lives in supported living accommodation, told his carer Sue Selby that he’d like to do something purposeful. Within weeks, Guy was welcomed on a part-time volunteer basis into the Hospice charity shop fellow volunteer Anthea Lee. “Guy sometimes needs to take it slower than other people, but he’s always been able to light up a room with his personality and the customers in the shop have really taken to him”. Hospice Volunteer Co-Ordinator, Helena Smith, says Guy is a real asset to the shop. “He has grown massively in confidence and ability and is so good with people in the shop – both customers and other volunteers,” says Helena. The Hospice has three charity shops – in Thornton Square, Handforth and Wilmslow – which all run mainly with the help of volunteers. Full training is given and anyone who would like to commit some time as a shop volunteer can contact Helena on 01625 664984. Eight-year-old Amelie Axford will be putting her best foot forward to get her fundraising journey off to a great start next month. 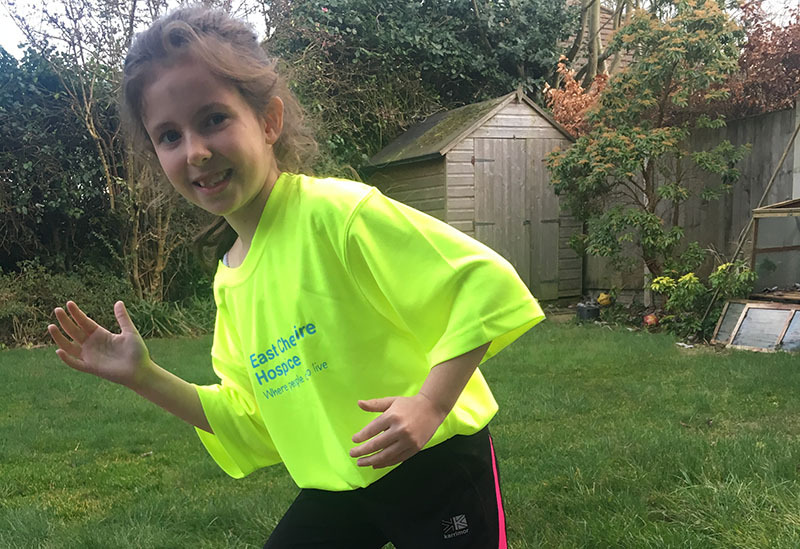 Amelie will be dedicating part of her family holiday in Cumbria to tackle a short but tough and hilly two-mile run in aid of East Cheshire Hospice. The run, at Centre Parcs, was Amelie’s idea after she and her fellow pupils at Mossley Primary School in Congleton took part on the Snowman Sprint before Christmas. The sprint gave Amelie the idea to help the Macclesfield charity further and with mum, Kate and dad, Jamie, both keen runners, the sports-mad schoolgirl decided a sponsored run would be her next step. “She was watching a video online about young people and social giving and was determined to do something for the Hospice,” says mum, Kate. And Amelie says: “It’s a fantastic cause”. One of the most important corporate supporters of East Cheshire Hospice has been awarded a specially designed trophy thanking them for their ongoing fundraising work. The Macclesfield pharmaceutical company, AstraZeneca, has been a loyal supporter of the Hospice since the Millbank Drive facility first opened its doors in 1988 and were one of the original founding businesses who contributed to the building costs. Employees at the AstraZeneca sites have helped to raise funds for the Hospice over the last 30 years and raised a stunning £26,000 last year alone. 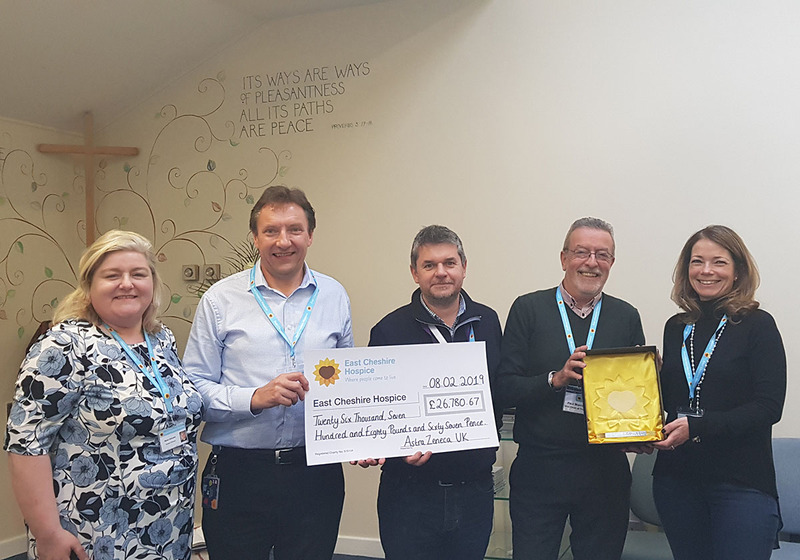 To mark the company’s ongoing support, Hospice Director Karyn Johnston, recently presented AstraZeneca with a specially made trophy designed in the shape of the Hospice logo – the sunflower. 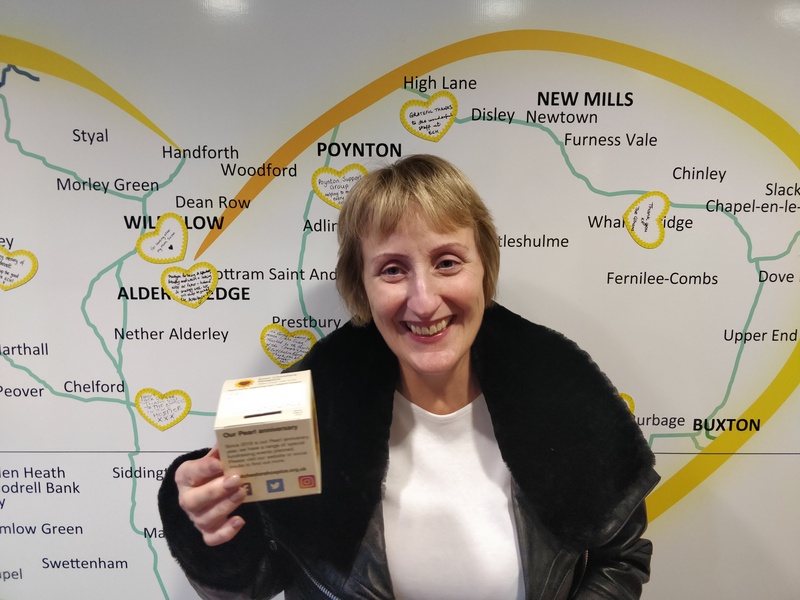 “Over the years, employees from AstraZeneca have been superb friends to the Hospice and we wanted to thank them in a special way. It was an honour to host their visit and to personally acknowledge all their support over the last three decades,” said Karyn. “We need to raise over 80 per cent of our running costs each day and we can’t do this without the fantastic support of our corporate supporters”. 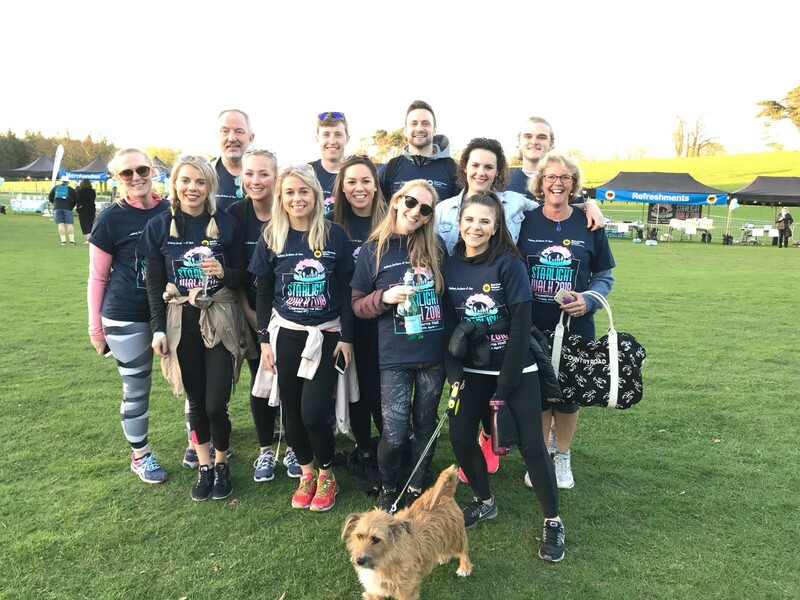 Dozens of AstraZeneca employees have undertaken their own fundraising and there are regular company-organised events to raise funds such as the Alderley Park Farm Weekend . At a special event at the Hospice, Karyn welcomed senior staff from the company to talk about the work of the Hospice and future plans. Karyn was joined by her clinical director colleague, Sarah Dale and Sandra Jones, who has a connection with the company having previously worked as a research nurse at AstraZeneca, working on clinical trials with oncology drugs.